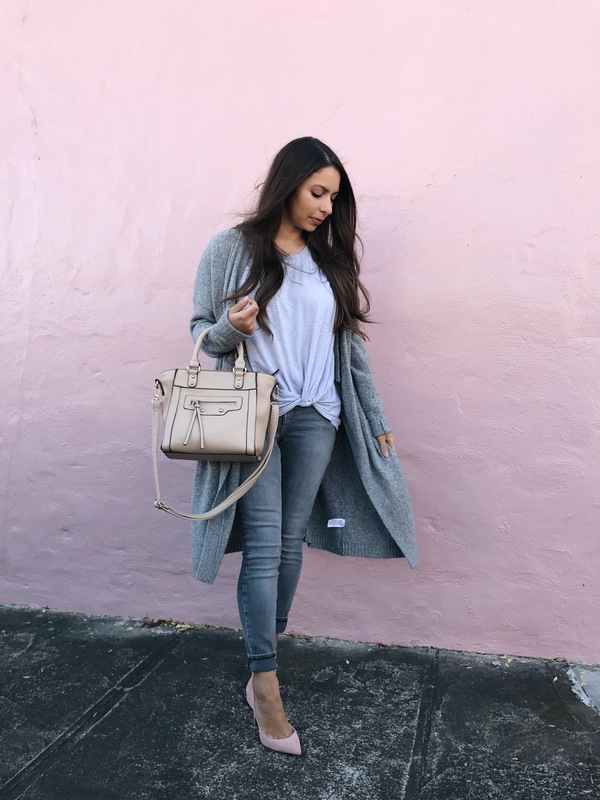 Grayscale + Welcome to the New Blog! Hi everyone! It’s been a while since my last post (almost a month!). I took a break from posting while I worked on my new website! I’m so excited to finally share it with you, so let me know what you think! 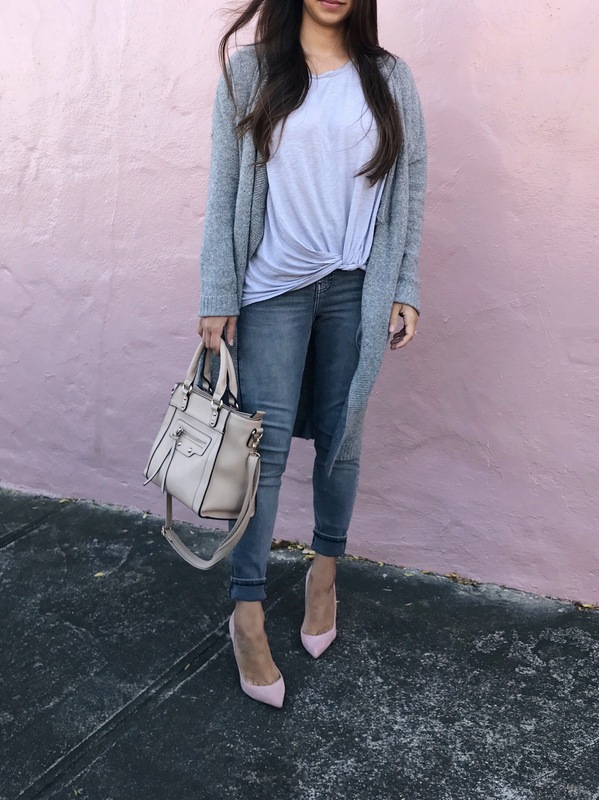 I love all the blush accents, and you can now shop my instagram here. Don’t forget to subscribe so you don’t miss a post! 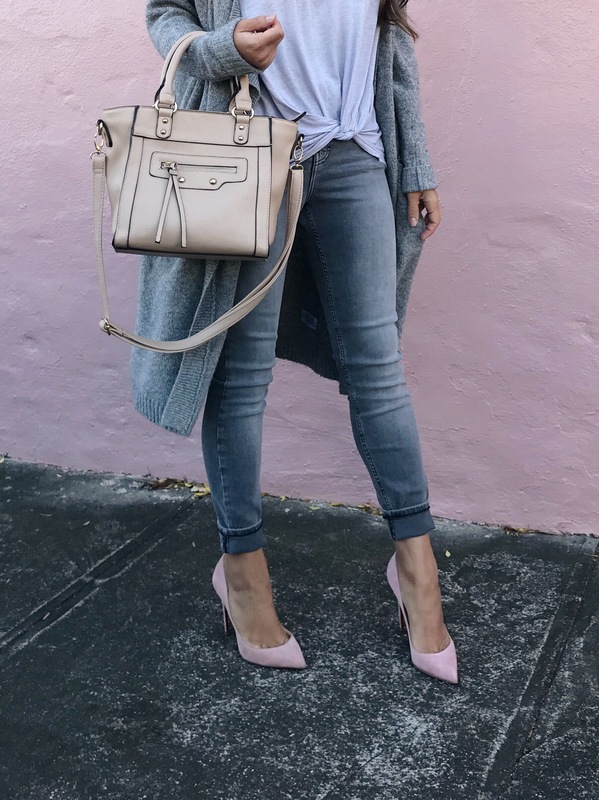 As you may know, blush and gray is one of my favorite color combos. 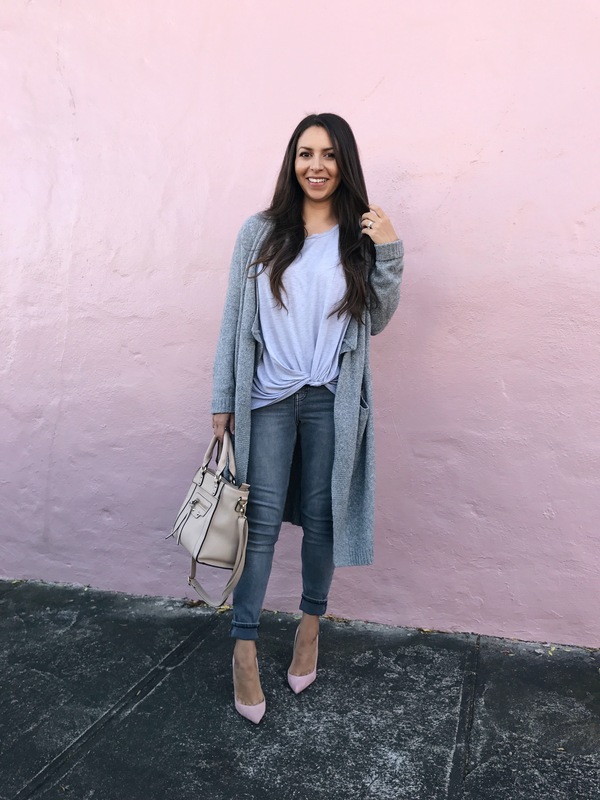 I love an all gray outfit with different tones of gray and a little pop of pink. 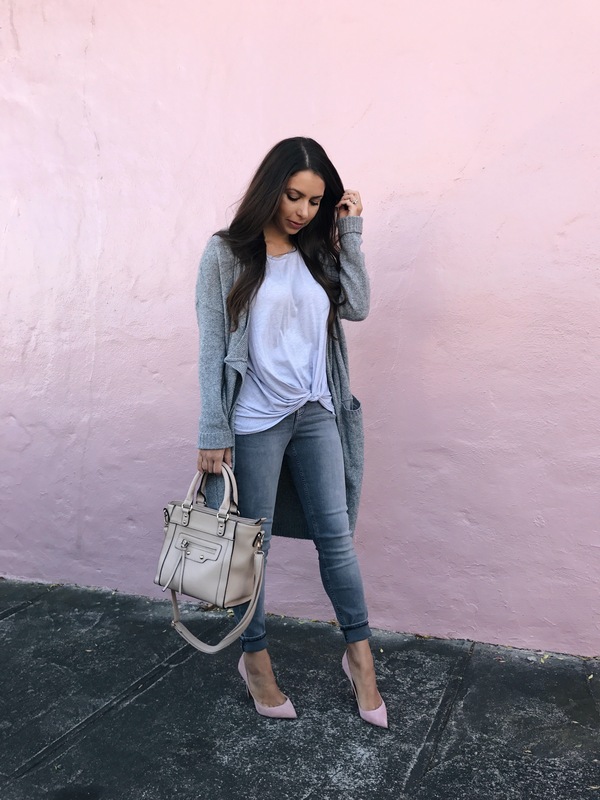 A cozy cardigan is a must for fall, and this is one of my favorites from last year. It’s still available (also in more colors), and I highly recommend it. I’m also still loving this knotted tee. It also comes in a blush color (as well as some others), and I think I might need it too lol. 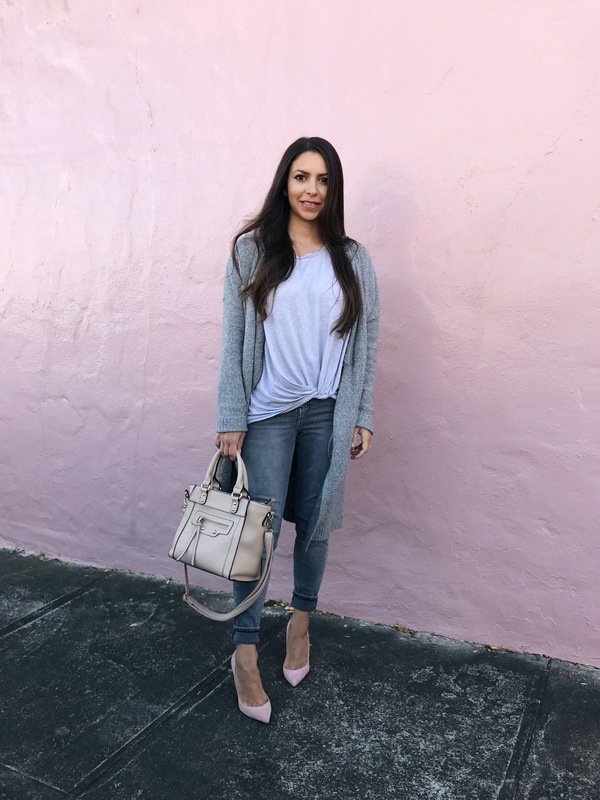 Also, how perfect is this pink wall? Love! 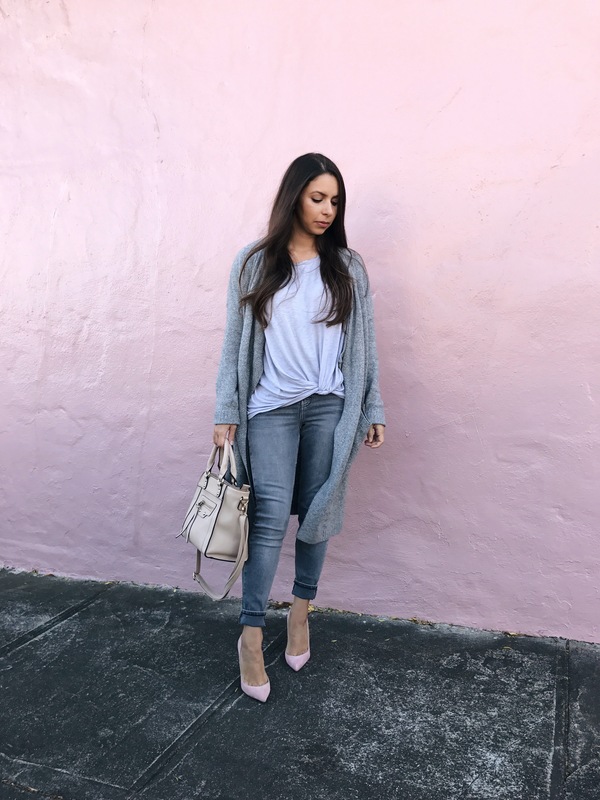 I hope you enjoyed this look, and don’t forget to subscribe to the new blog! Thanks for stopping by!